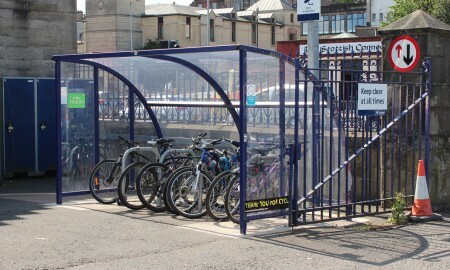 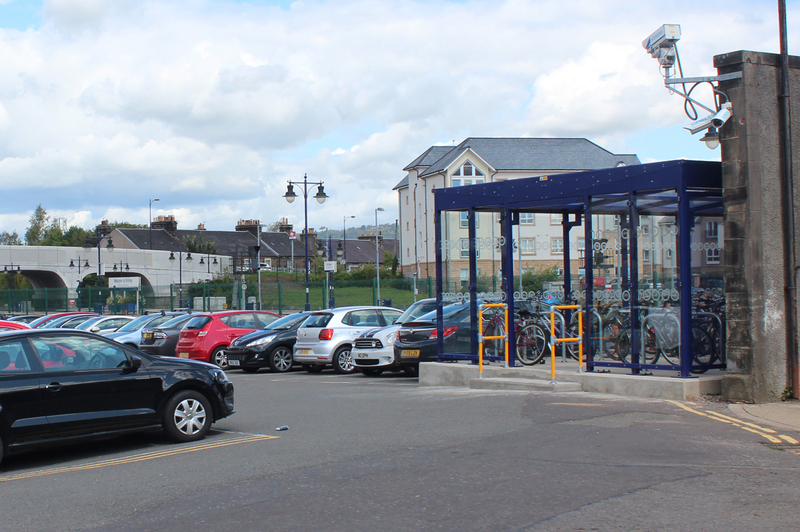 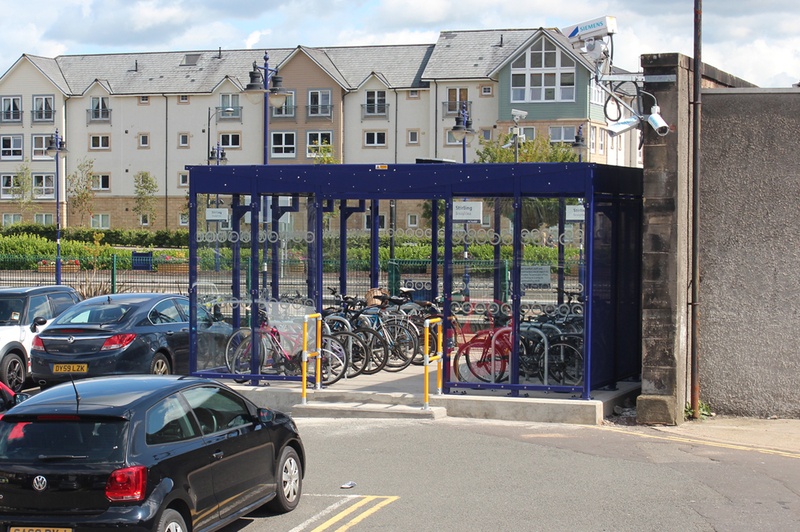 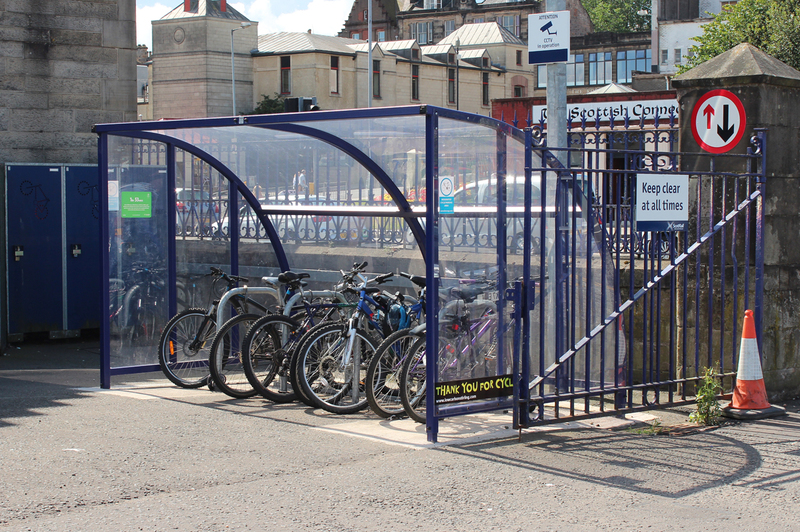 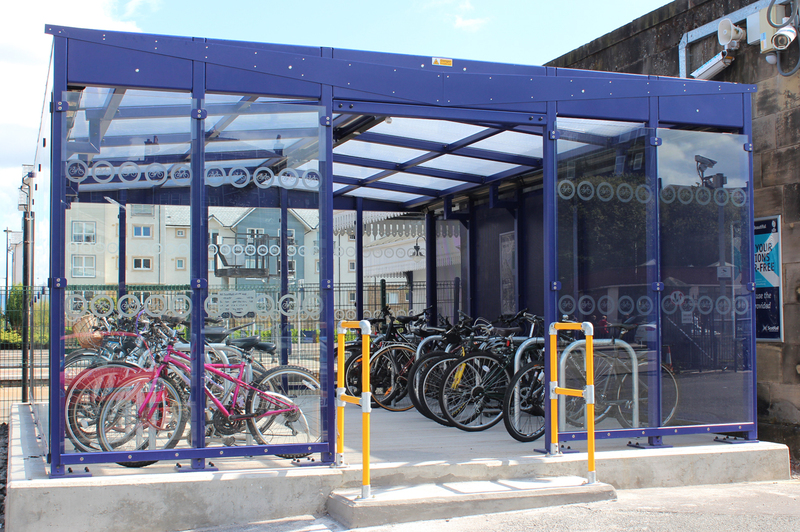 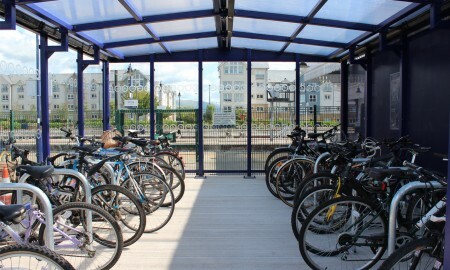 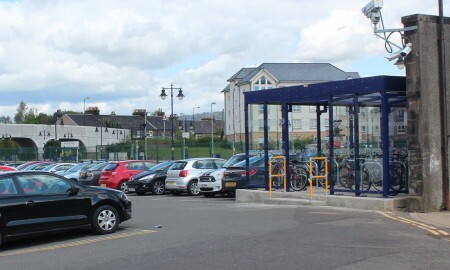 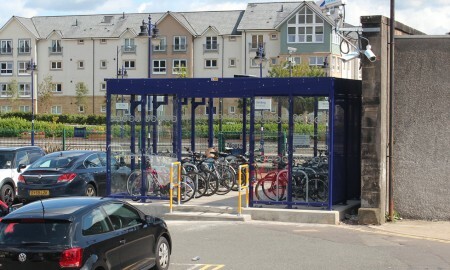 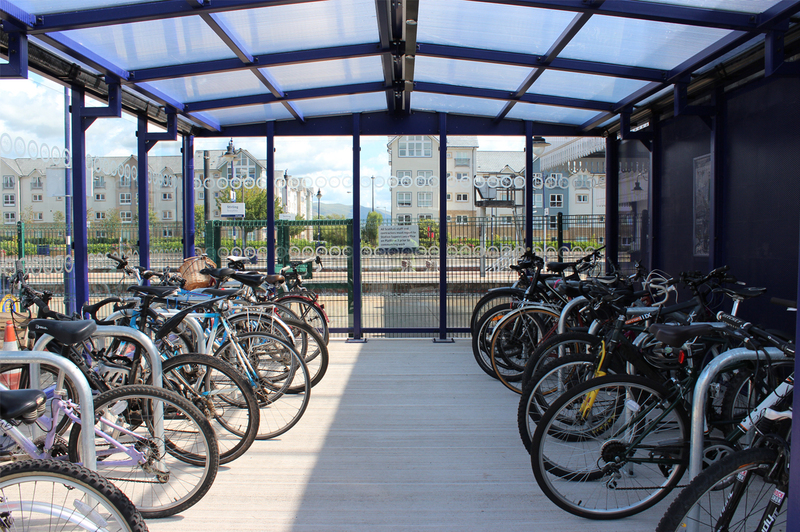 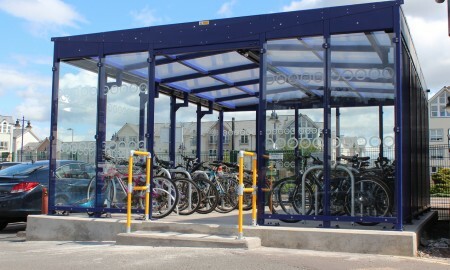 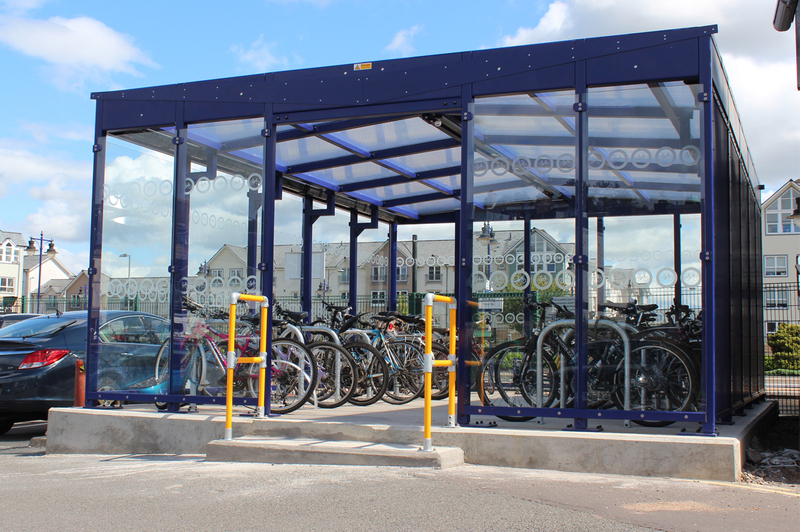 Scotrail required a cycle hub and extra cycle parking facilities at Stirling Station. 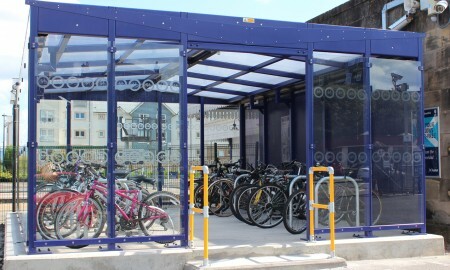 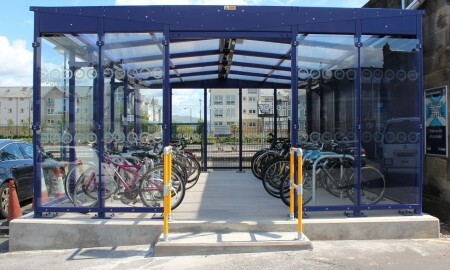 Broxap provided this bespoke solution and created this hi-visibility cycle hub allowing cyclists to travel by cycle to the station and leave them in a dry environment and secured to Sheffield Cycle Stands. 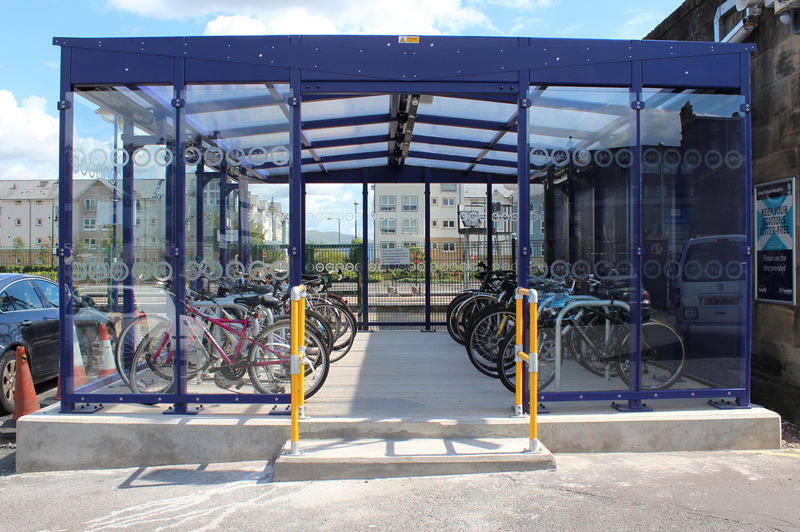 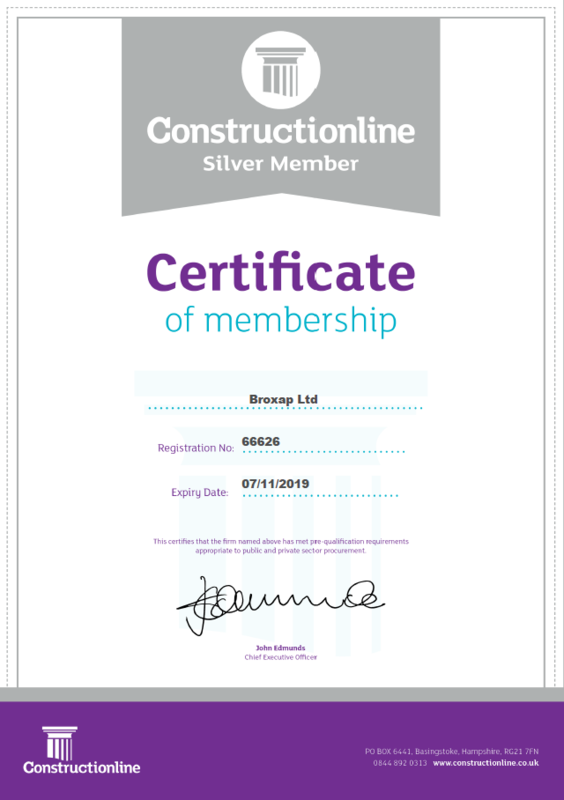 A concrete base was installed in the first instance to ensure that the area was level prior to the installation of the Hub itself, Broxap integrated a step in with this base to allow users easier access to the elevated Hub base. 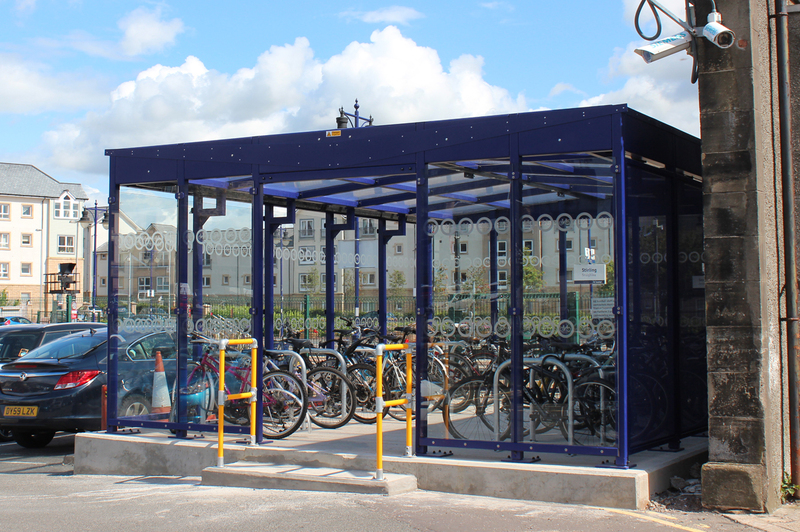 The hub itself is constructed of galvanized steel which was powder coated in a blue to match the existing station colour scheme. 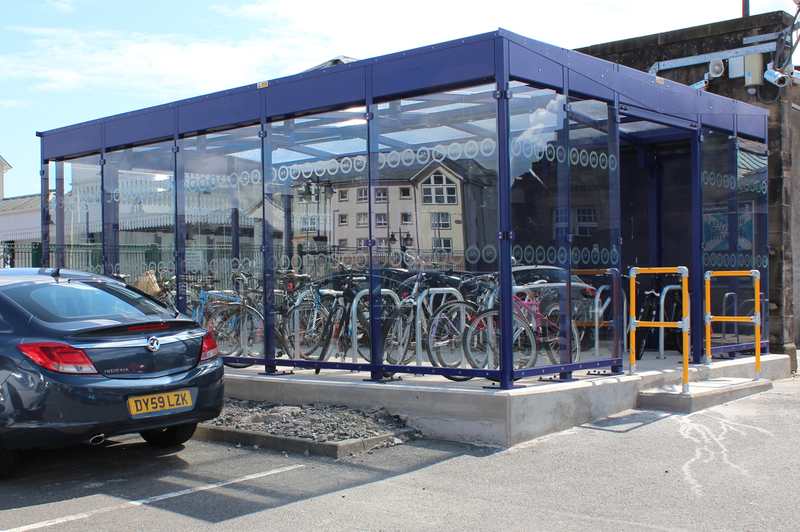 The roof was constructed of multi-wall polycarbonate whilst the sides are of toughened safety glass with vinyl visibility indicators. 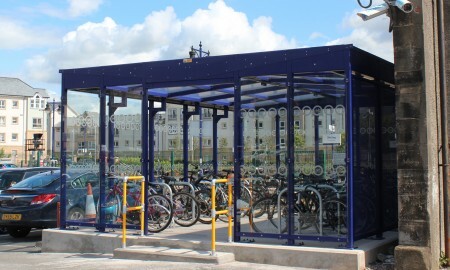 Galvanized Sheffield stands are used within to secure cycles via users own locking mechanism. 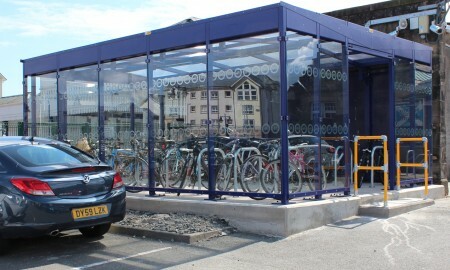 Additional parking was provided in the form of a Wardale cycle shelter.